Sterling Silver Coated Rhinestone Ring. 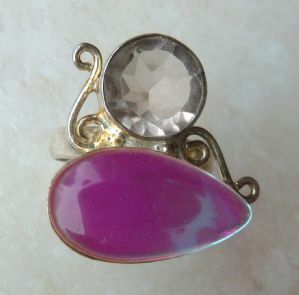 Sterling silver and coated rhinestone, colour reflecting ring. UK size O, Us size 7 1/4. 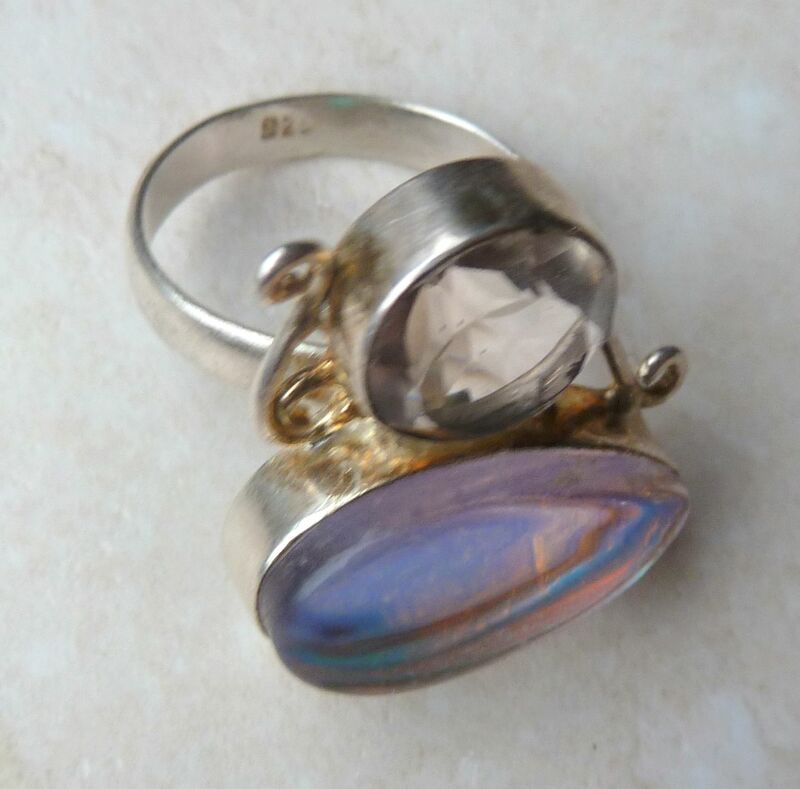 A large sterling silver and coated, color reflecting rhinestone ring. 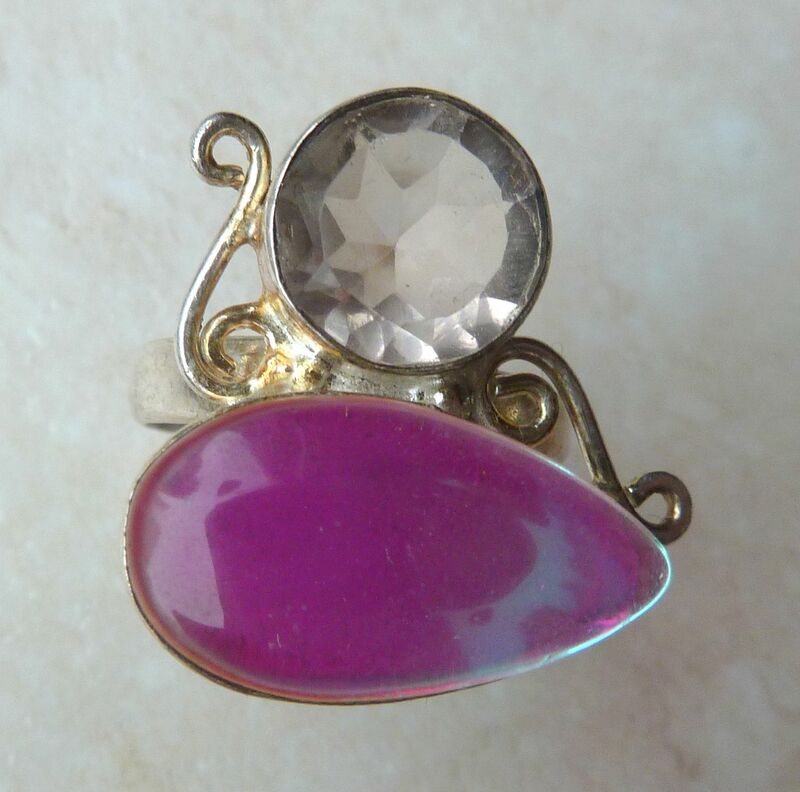 The ring is set with a rounded clear faceted rhinestone, above which is set a pear shaped coated rhinestone cabochon, which reflects light in varying colors, the picture shows pink, but it picks up all colors. The coating reflects an array of colors in the light. 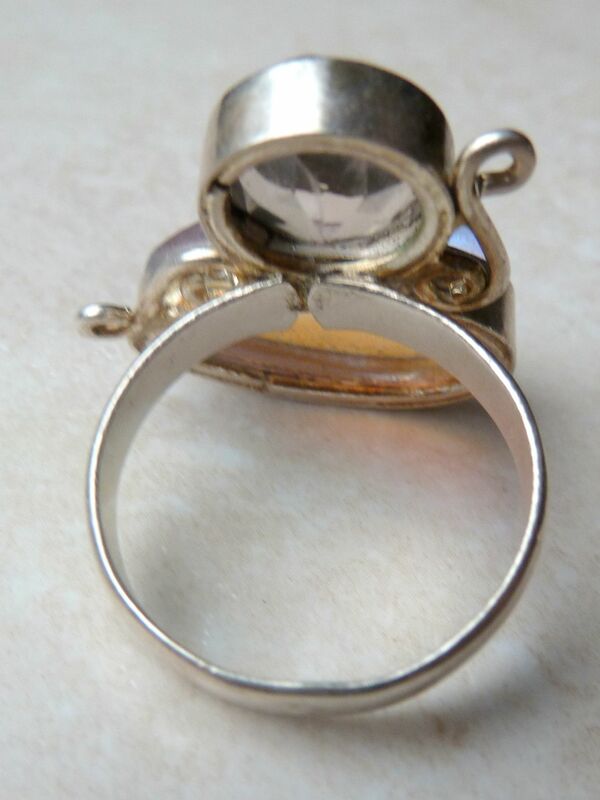 Scrollwork to the side sof the clear rhinestone, and a plain silver band. Stamped 925 for sterling silver to the inner side of the band. 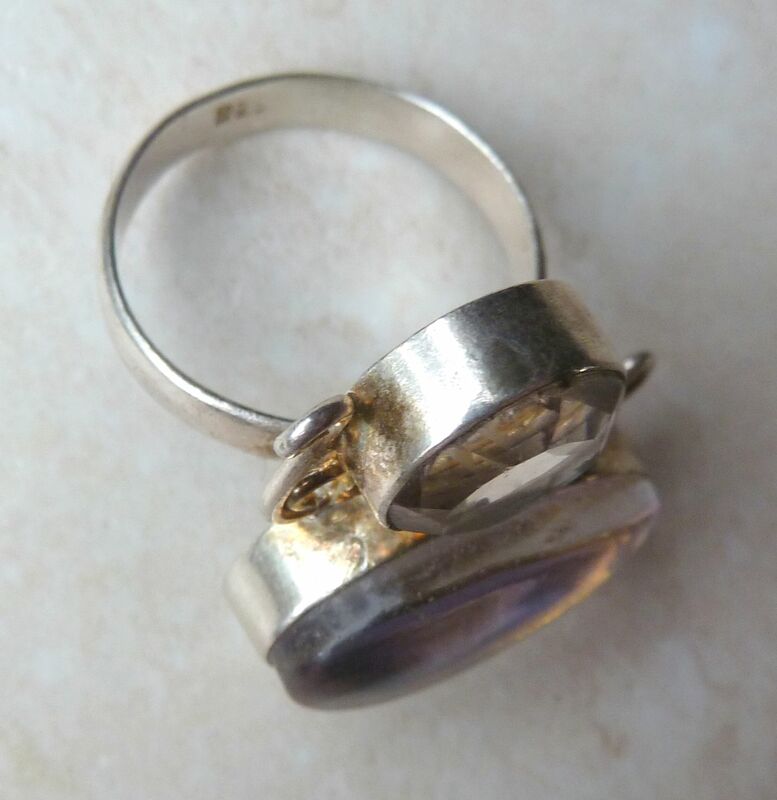 The ring is a UK size O, USA size 7 1/4. 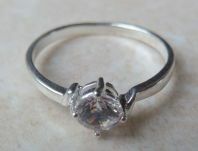 Sterling silver ring with large clear and coated rhinestones. Striking modern large sterling silver, rhinestone ring. Sterling Silver Ring With Large Centrally Set Zirconia Stone. Modern Sterling silver ring, featuring a large centrally set zirconia stone. Sterling silver and clear quartz Celtic knot pendant and sterling silver necklace.